MILWAUKEE, Wisconsin (January 3, 2017) – In order to encourage nonprofit professionals to pursue advanced degrees and commemorate the life of former board member, Ilona Nicole Gonzalez, The Young Nonprofit Professionals Network (YNPN) Greater Milwaukee Chapter has announced The Ilona Nicole Memorial Scholarship for Graduate Education. Throughout her life, Ilona Gonzalez proved her commitment to higher education and service to the community. A visionary leader, Ilona was eager to help grow YNPN Milwaukee and better serve the nonprofit sector in Milwaukee. She was a double alumna of Alverno College, an adjunct instructor and a writer and graphic designer for the Benedict Center. Ilona was deeply committed to education, both as a learner and an educator. The Ilona Nicole Memorial Scholarship will be awarded to emerging nonprofit leaders who have served as employees, community volunteers or board members with nonprofit organizations in or around Milwaukee to aid in their pursuit of graduate-level degree programs. Applications will be evaluated on current enrollment in a graduate program, involvement in the nonprofit sector, future plans to remain actively involved in the nonprofit sector, leadership qualities, and a letter of recommendation. Scholarship applications are due Friday, February 3, 2017. The scholarship recipient will be notified by Tuesday, February 10, 2017 and presented with the scholarship on Thursday, February 23, 2017 at YNPN’s Annual Kick-Off event at The Point. YNPN Milwaukee was founded in 2006 to create a network for next generation leaders to connect and support one another to strengthen their own leadership skills, and as a result, the nonprofit sector as a whole. This mission is achieved through professional development programming, networking and mentorship opportunities, board and committee service, and more. 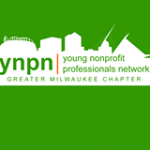 Those interested in YNPN Milwaukee can also find more information on the organization’s website including individual and organization member benefits, dues and application, upcoming events, and opportunities to get involved. To learn more about YNPN Milwaukee, visit www.ynpnmke.org.